GuangjunNan obtained a Master degree in physics from Jilin University (China) andobtained a PhD degree in chemistry from Institute of Chemistry Chinese Academy(China) in 2009, under the supervision of Prof. Zhigang Shuai. The mainresearch of his PhD was on the charge transfer in complex systems and chargetransport in organic semiconductors. 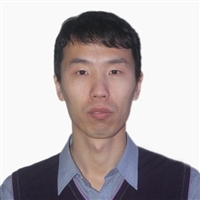 Then He worked in Harbin Institute ofTechnology, China, as an assistant professor and became an associate professorin 2013. In March 2014, he moved to California State University Northridge asPostdoctoral fellow. From January 2016, he joined the Mons group as a Marie Sklodowska-Curie Fellow. His research interests lie in the field oforganic, hybrid organic/inorganic electronics, including the charge transport,exciton diffusion and dissociation. G.J. Nan, X. Zhang, and G. Lu, “Do’hot’ charge-transfer excitons promote free carrier generation in organicphotovoltaics”, J. Phys. Chem. C 119,15028-15035 (2015). G.J. Nan,and Z.S. Li, “Influence of lattice dynamics on chargetransport in dianthra[2,3-b:2’,3’-f]-thieno[3,2-b]thiophene organic crystalfrom a theoretical study”, Phys. Chem. Chem. Phys. 14, 9451-9459(2012). G.J. Nan, Q. Shi, Z.G. Shuai, and Z.S. Li, “Influences ofmolecular packing on the charge mobility of organic semiconductors: fromquantum charge transfer rate theory beyond the first-order perturbation”, Phys.Chem. Chem. Phys. 13, 9736-9746 (2011). L.J. Wang, G.J. Nan, X.D. Yang, Q. Peng, Q.K. Li, and Z.G. Shuai,“Computational design of organic functional materials with large mobility”, Chem.Soc. Rev. 39, 423-434 (2010). G.J. Nan, X.D. Yang, L.J. Wang, Z.G. Shuai, and Y. Zhao, “Nuclear tunnelingeffects of charge transport in rubrene, tetracene, and pentacene”, Phys. Rev.B 79, 115203 (2009).